Here's my latest cartoon I drew for the Independent Gazette. It is a honor and privilege to have my work published on real newsprint again! 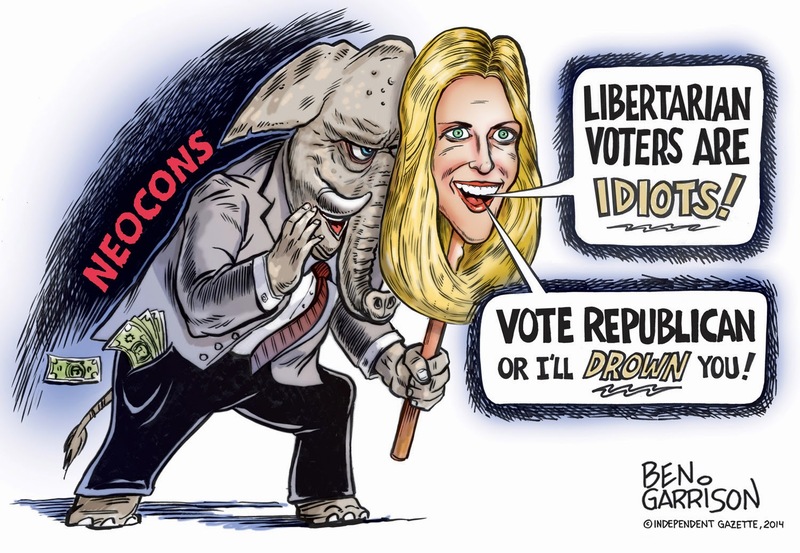 Ann Coulter is a mouthpiece for the Neocons. She is the attack dog, er, attack horse for the Republicans. She recently joked that she would track down and 'drown' Libertarian voters. 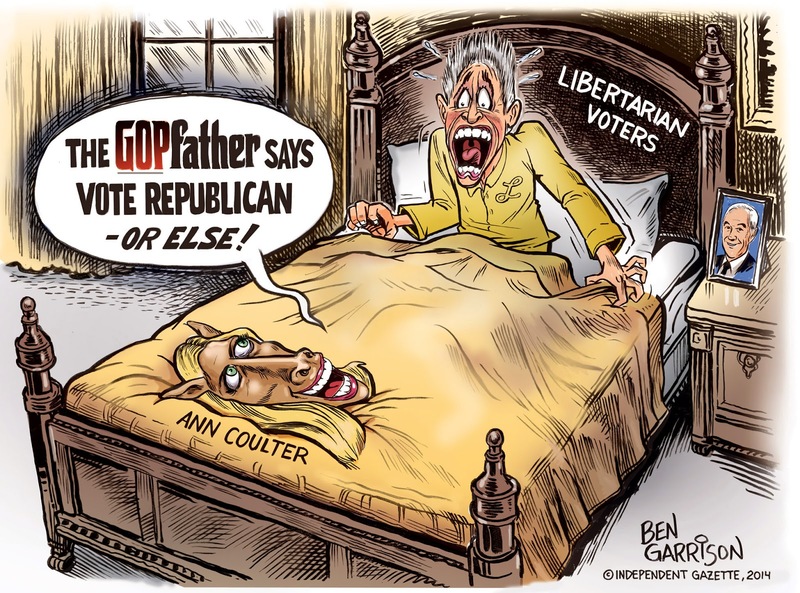 Ann is somewhat horse-faced and makes a good cartoon caricature.